Home » Focus on What Matters » You’re Talking. Is Your Travel Management Company Listening? The answer makes a big difference in terms of the value you can derive from your travel program. Sure, there are similarities across industries and organizations of like size, but at Travel and Transport we’ve found that every business defines success differently. That’s why one of the first questions we would ask you, if you approached us to bid out your travel program is: what does success look like to you? If your TMC isn’t asking you this question, they are likely not asking other important questions and may not be demonstrating responsiveness in other areas of your relationship. It’s a very simple question, and yet the responses we receive vary wildly. Some companies have a simple answer while others have much more complex responses. Some have no answer at all. After asking, we would listen carefully to what you have to say because your response is the first piece of research we can use to design the right travel program that complements your goals. Responsive listening is not only the foundation of a profitable travel program, it’s also the basis of a mutually beneficial relationship. The secret to providing great service and delivering satisfying results in the travel industry, or in any industry for that matter, is understanding what sets your customers up for success and what sets them off. Armed with that understanding, we can design and deliver a travel program tailored to your needs, wants and preferences. Many travel management companies (TMCs) talk at their clients instead of listening to them, which can lead to false assumptions about what clients really need or want. Often, what TMCs are saying to their clients is how this best practice or that industry standard will reduce costs and satisfy expectations. Used to these kinds of conversations, travel managers often assume the TMC knows what’s best and goes with their recommendations. Down the road, some of those best practices can become hang ups that hinder the effectiveness of the program. Communication best practices for the travel industry show that making reservations with a travel advisor over the phone or online is much faster than through email. For starters, there’s no typing or back and forth involved. There’s less lag time as travel advisors can ask questions and get the information they need to secure optimal flight, hotel and rental car reservations for traveling employees. This is fine for clients who have time and are comfortable being on the phone. But what happens when you’re a busy executive assistant or frequent traveler who can work more effectively by multi-tasking over email? In this case, what is most convenient for you is actually inconvenient for the TMC. A TMC who’s listening to you will make an exception to this industry best practice and accept reservations by email because doing so will lead to a better travel experience. We’ve had this exact scenario repeat itself many times at Travel and Transport. While we will encourage you to adopt industry best practices where they make sense; where they don’t, we won’t force you to fit into our preferences. We are always seeking to learn your preferences so that we can design a travel program to your needs, goals and preferences. Where opportunities for improvement exist, we will suggest them, but only if those suggestions are mutually beneficial. We won’t sacrifice your satisfaction for our own convenience. While cost is certainly a critical component of any travel program, it isn’t the only one, and it may not even be the most important factor. If you choose a travel partner based solely on cost, you may end up with a travel program that hinders, rather than adds, value. A TMC should demonstrate the value it will bring to your business by handling your travel needs. It should offer best in class solutions along with technology and should continually offer recommendations that improve the program. Over time, the right TMC can elevate your travel program from a source of convenience to one of satisfaction and even profit. When you bid out your travel program, you should be asked questions by TMCs that get at what your goals are and specifically, what success looks like for you. What does your performance evaluation look like? What are you accountable for besides travel? What are your travelers telling you? What do they complain about most? How can and should a Travel Management Company help drive that for you? The answers to these questions help us design a successful travel program. At Travel and Transport, we can guarantee success. How can we be so confident? Because when we know our goal, we will do anything to achieve it. We gauge satisfaction across these three metrics with surveys, Net Promoter Scores, spend analysis and much more. A TMC that is strategic, service-focused and consultative, with the right people, technology and resources in the right places, should be able to take a clearly defined success blueprint and guarantee its achievement. You do not have to settle for the status quo when it comes to your travel program. You deserve to be asked how you define success. Have you bid out your travel program? Were you asked to define success for your organization? What difference would that have made to your overall experience and the outcomes you saw? 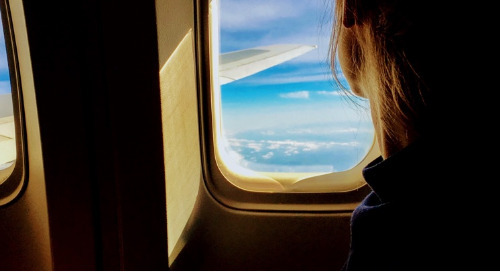 The best business travel tips are those that apply innovation, experience and wellbeing to help customers feel better and be more productive on the road.